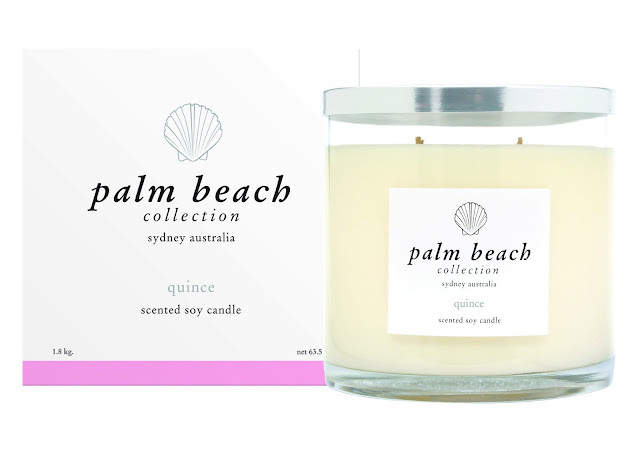 Palm Beach Collection - the prestigious candle brand - has now introduced a new quince scent. Ancient traders claimed that one ripe quince could perfume an entire caravan, and the same effect can be experienced with a Palm Beach Collection quince scented soy wax candle or diffuser, as the fruits’ intoxicating aroma infuses any room it occupies. The sophisticated and ethereal new scent was inspired by founding brother and sister duo Kirsten and Mike’s travels through Europe, and visits to some of Paris’s most respected boutique perfumeries. “Quinces are a mystery to many, we found ourselves constantly reminded of this scent on our travels through Europe last year. Inspired by its intoxicating scent we grew to appreciate why for centuries the “golden apple” has been so treasured and wanted to create something special for our customers,” says Kirsten. "It weaves a story of ancient Greek mythology, a virgin bride would delicately nibble a Quince to ‘perfume her breath’ on her wedding night and Paris presented Aphrodite, goddess of love with a Quince as a symbol of love, marriage and fertility. Sweet fruits and white florals create this luscious and sophisticated fragrance, melded with a honeyed undercurrent and spicy exotic notes. Rhubarb, passionfruit, white peach, and quince are blended with white jasmine and lotus blossoms to create a striking and unique elixir." Quince will be available across the entire Palm Beach Collection range including the Mini Collection, Standard Collection, Deluxe Collection and Diffuser Collection. Quince by Palm Beach Collection is available now from all stockists Australia wide and online here.